This post finds me musing about why my orchid doesn’t bloom. 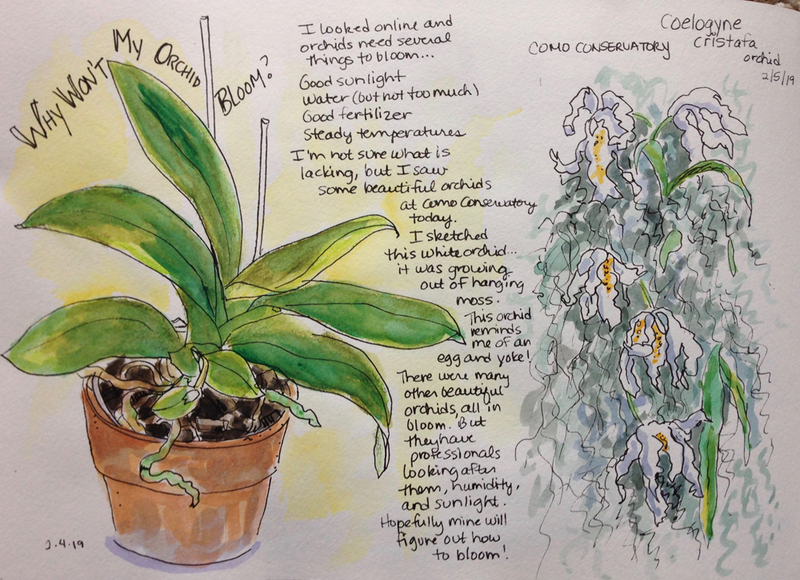 And, I had the opportunity to lead a short sketching class at Como Conservatory yesterday and while there, I sketched a beautiful orchid. I am glad to see orchids that are in bloom this time of year, they are true plant beauties!